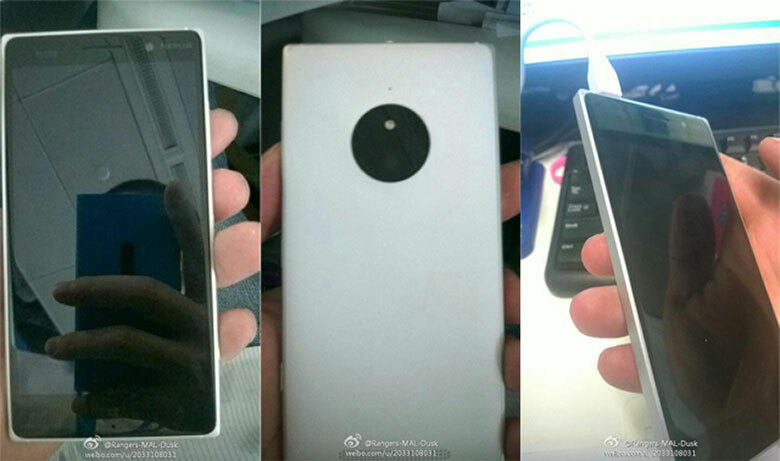 New Nokia phone turns up in pics; Lumia 830? Maybe McLaren or Tesla? When it comes to Windows Phone, the big we’re waiting on at the moment isn’t hardware, but software: the just-about-to-drop OTA updates bringing Windows Phone 8.1 to all these existing WP8 models out there. But soon enough, those updates will be upon us, and we’ll inevitably set our sights to what’s next over the horizon. Some new hardware, perhaps? A leak last month attempted to lay out Microsoft’s plans for Nokia devices as we head into the second half of the year, not to mention what might be coming up in 2015, and today we get an early look at what just might be one of those upcoming models, an unknown Lumia handset. By the looks of things here, the phone is constructed with an aluminum frame and a polycarbonate rear panel. It shares other design similarities with existing Lumia models, including speaker placement. But just which Lumia model might this be? A couple ideas have been put forward. One pegs this as the Lumia 830, which would presumably be more of a mid-range device. That idea’s reinforced by claims that this model could be just such a mid-ranger destined for China. But then there’s the concern that this handset might be too large to be the 830 (considering the small screens on the 800 and 820), and might instead be something more like the phone codenamed McLaren – a very much high-end Lumia model. For now, though, that’s really just a lot of speculation, and with little more to go on than these images themselves, it’s going to be difficult to make any hard IDs until new evidence turns up.